Don’t you just hate it when you’re trying to get some cleaning done and a ghost just turns up out of nowhere to reap havoc? Absolute nightmare, right? Well a couple of pub owners in Dudley experienced just that. 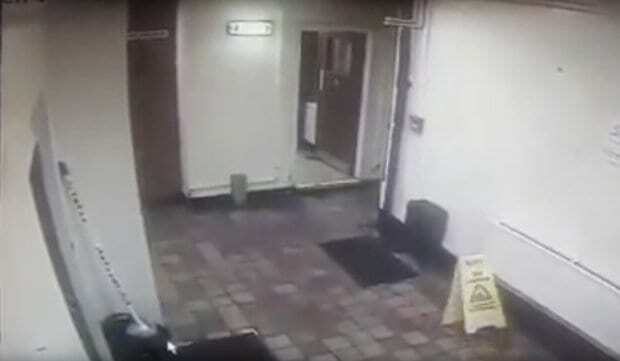 A creepy video of the paranormal variety has emerged online, of a ‘ghost’ haunting a boozer- by appearing to move a mop and a wet floor sign. 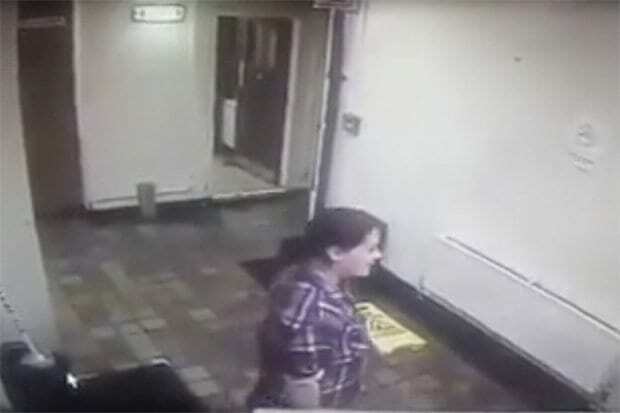 The short clip starts with the licensee Katie Ann Round, 31, setting up an A-board and mopping a back room of The Chapel House in Dudley, West Midlands. 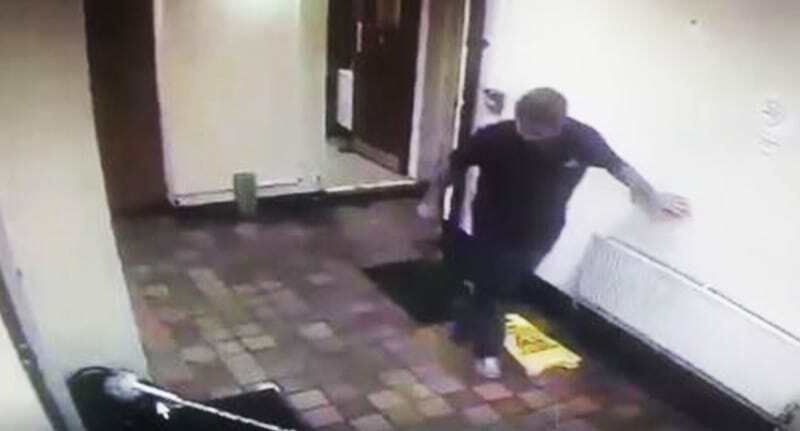 But once she leaves the room the yellow wet floor sign inexplicably floats and almost folds itself to the floor. When Katie’s fiance Ben Parkes steps in to investigate, the mop in the corner then falls across the table- startling Ben. I was cleaning up at the night and heard something in my kitchen, I went out to look and couldn’t see anything so I thought it was my other half pulling my leg. He jumped out of his skin. When we looked at the footage, we couldn’t believe it. After doing a bit nosing around online, the couple now believe the bar is haunted because of its sketchy past. Last Friday a glass on a shelf above the bar propelled off and hit me hard in the chest. It turns out that the cellar at the pub and the arches in the cellar were barred and used as overflow cells for the nearby police station. Sometimes you can hear footsteps coming upstairs but then they just stop. Definitely won’t be going out of my way to get a cheeky bev in there anytime soon, that’s for sure. Nope, no way, nah-uh.